More and more home-cooks and fine-dining restaurants are learning the delicious value of incorporating native Australian ingredients in their dishes. Chef Mark Olive, aka The Black Olive, a Bundjalung man from the Northern Rivers in New South Wales, has known this for years. 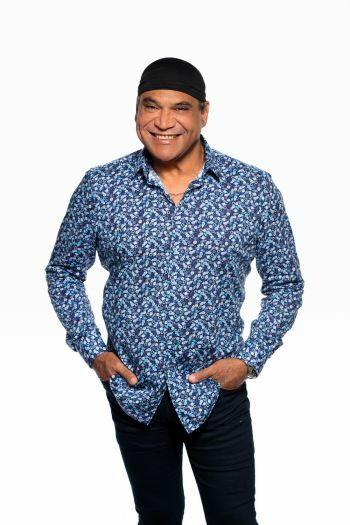 Olive has promoted and worked with Indigenous ingredients throughout his 30-year career, and the host of NITV’s On Country Cooking, and SBS’s The Chef’s Line says the move towards native ingredients is working its way out of a ‘trend’ and into a staple. “Over the years it used to be a novelty, but I think in the last five years it’s really starting to take off,” he says. “I’ve been working with these ingredients for so long and it’s good that people are taking up the reigns and investing in it. For home-cooks wanting to spice up their meals with more local ingredients, Olive says it’s important to read the labels and source ethically. “You’ve got your big farms out there, but it’s really important to keep in mind if you can find indigenous growers, the money goes back into their communities,” he says. Olive will be returning to Darwin to cook at the charity event Variety of Chefs, where he will prepare his main meal signature dish to food-lovers. At the event Olive will be joined by other acclaimed chefs, including Rachael Ciesiolka, Athol Wark, Meann Duco, Miann Santos and local favourite David Taylor. Each chef will prepare a meal and commentate the process in front of guests before they can tuck in and taste the dish.